Coligny: I will NEVER forgive! 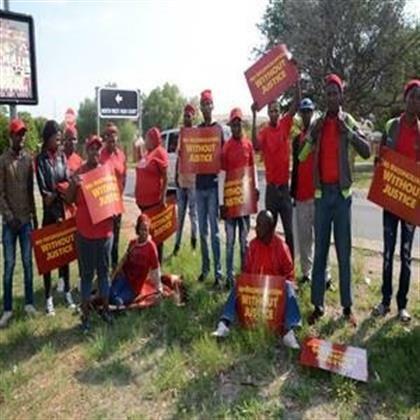 EFF supporters who slept outside North West high court on Tuesday kept on picketing outide the court in support of Matlhomola Moshoeu’s family, calling for justice before reconciliation. The two convicted killers together in court. AGNES Moshoeu refuses to forgive the men who killed her son. 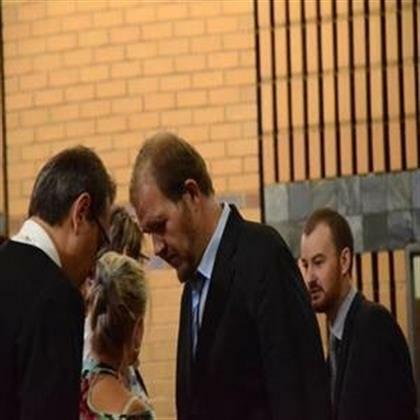 She said this in the North West High Court in Mahikeng, North West during the evidence in aggravation of sentence for two farmworkers Pieter Doorewaard and Phillip Schutte, who were found guilty of killing Matlhomola Moshoeu. The evidence entered a third day today. Defence advocate Cecile Zwiegelaar revealed letters that were written late last year and on 8 January by the two men, asking to meet with the Moshoeu family. Agnes acknowledged she received the message to meet the men, but she wanted to hear nothing from them because their attempts were too late. “All I want is that the state must conclude this case and pass the judgment. It does not help to speak to the families of the guilty men because it is too late. My son is underground and I won’t get him back,” said Agnes. There was drama in court. Judge Ronnie Hendricks got impatient with the line of questioning by Zwiegelaar. Zwiegelaar posed questions that seemed to dispute any relationship between Matlhomola and his parents. From time to time the state advocate Rapula Molefe had to object to some questions as being personal and irrelevant. Clearly agitated, the judge refused to allow some questions from Zwiegelaar. When the judge asked for a short adjournment, EFF supporters caused commotion with Doorewaard and Schutte’s employer Pieter Karsten. Karsten took an EFF poster into court. EFF members demanded it back, but he refused. Cops and security intervened and Karsten took the poster outside, while EFF members threatened him with violence should he tear it off. The defence and prosecution will present their final arguments tomorrow before the judge makes his decision.